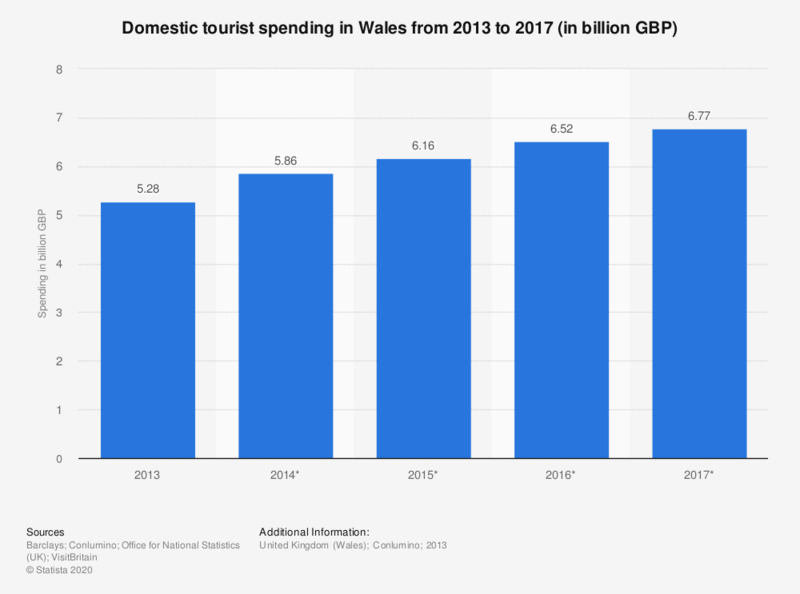 This statistic displays a forecast for domestic tourist spending in Wales from 2013 to 2017. Domestic tourist spending amounted to 5.3 billion British pounds in 2013 and is expected to grow to 6.8 billion British pounds in 2016. * Projected figures. Domestic spending includes both overnight stays and day trips.